fatback is a tool in Backtrack 5 which is used to recover the deleted files from FAT(file Allocation Table ) file system. Here fatback first read the FAT image file system then it will recovered all deleted file . This tool was developed in year 2000-2001 at DoD (Department of Defence ) Computer Forensic Lab by SrA Nicholas Harbour. 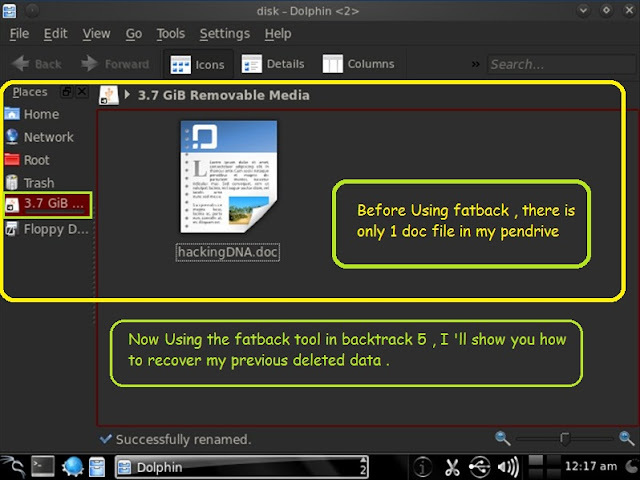 fatback is also useful for investigation windows filesystem . First step of using fatback is to known what is the name of the disk partition from where we have to recover the data. 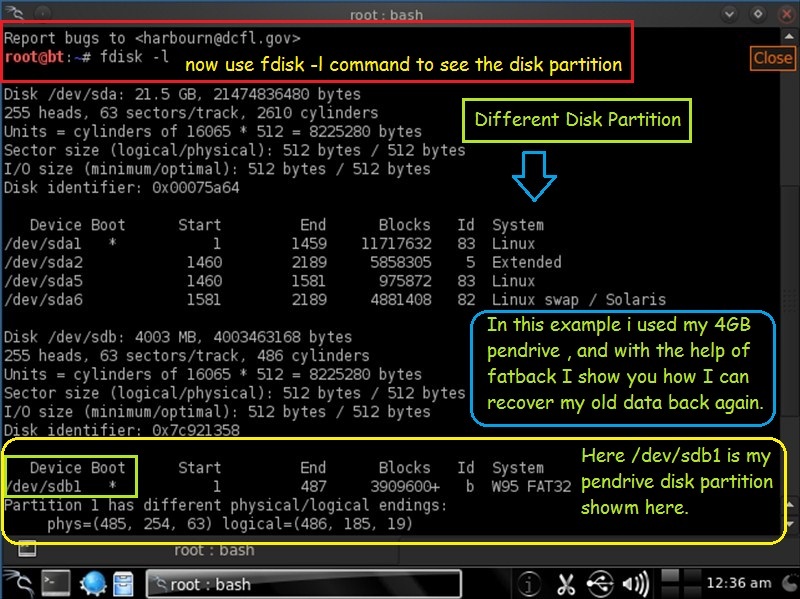 In this image when i run fdisk -l , it showed my Removable Pendrive partition (/dev/sdb1) shown at the bottom of the below image . 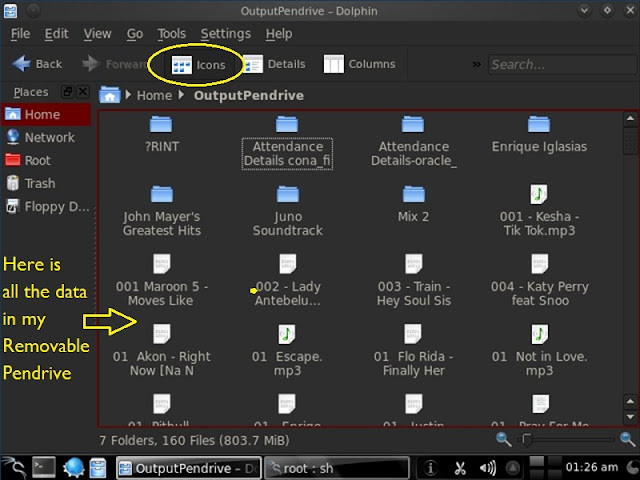 Before using FATBACK , there is only one file in my Removable Pendrive which has the FAT file system . fatback : used to start the the fatback program . -o : is used to specifying a directory to place output file . 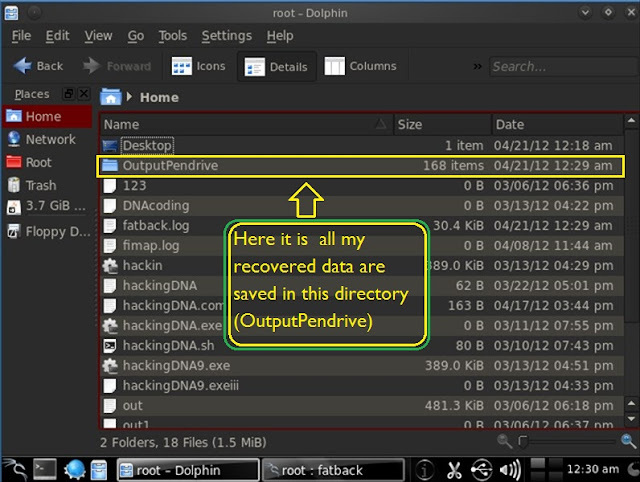 /root/OutputPendrive : Here /root is the directory and OutputPendrive is the name of the output directory . Here it is in the inside Home directory , a new directory is created and you can see the some data is also recovered . Now open this OutputPendrive folder and check how much your data is recovered. Here it is 7 folder and 168 files are recovered successfully . 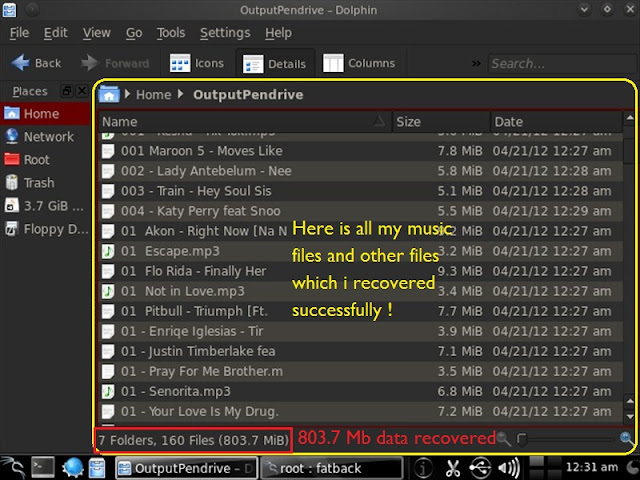 It recovered 803.7 MB of data from my Removable Pendrive . Here It shows 7 folders and files . 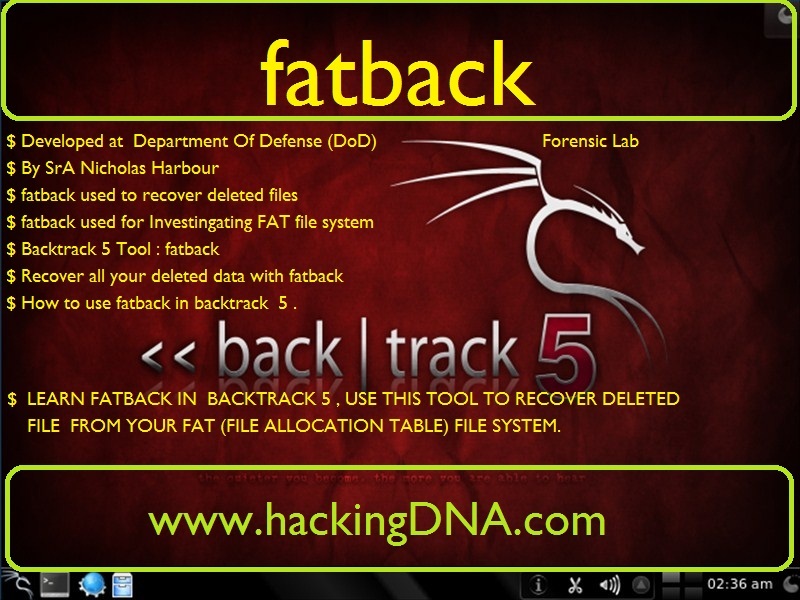 This is how , we can use FATBACK Tool , now use this tool for good purpose and always follow www.hackingDNA.com for more articles.